Had the Wright Brothers foolishly chosen to build their original flyer from concrete, their names probably wouldn't have gone down in the history books. But South Dakota School of Mines & Technology students David Haberman and Tyler Pojanowski did, and were the first to fly and safely land an 18 pound remote control concrete aircraft. Technically they were beaten to the skies by an earlier concrete plane built in Florida, but it crashed and was destroyed on landing, whereas David and Tyler's plane will live to fly another day. Just not gracefully, since the test flight was incredibly unstable and a rough landing resulted in a cracked wing and fuselage—but the plane will fly again with minor repairs. Building a full-sized aircraft from concrete is still completely impractical with current technologies. 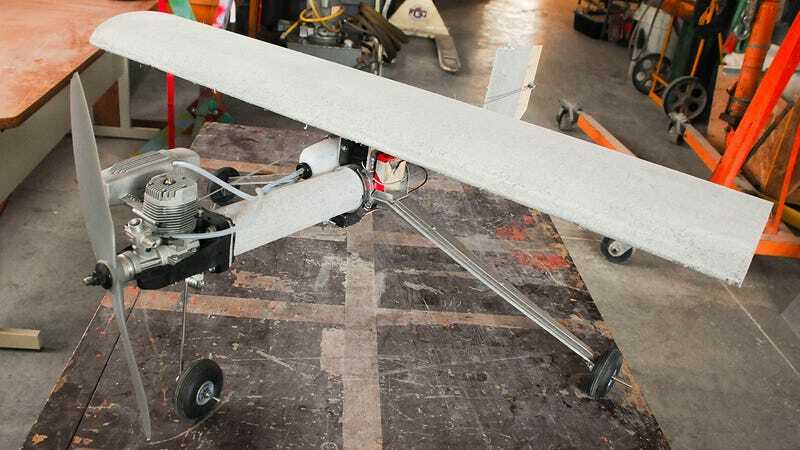 But this smaller version, with its 40-inch wingspan, could lead to further developments in concrete making it stronger, lighter and easier to work with when it comes to building structures.